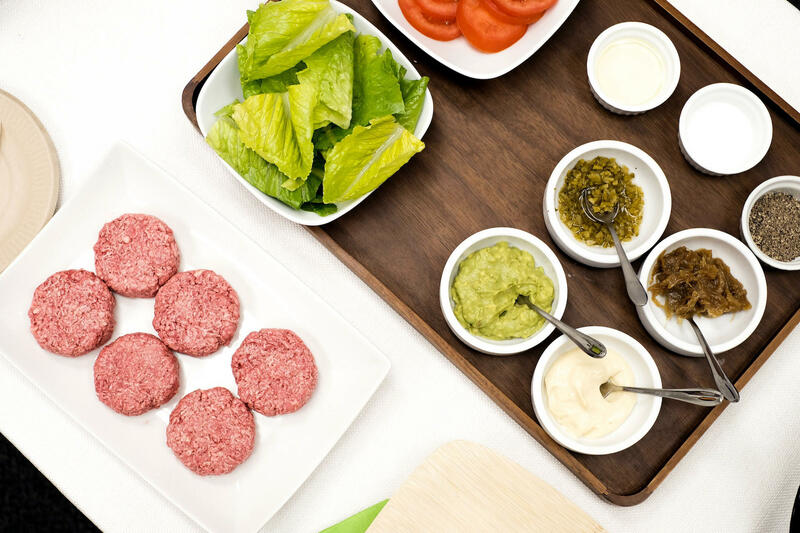 Silicon Valley-based Impossible Foods has taken a high-tech approach to creating a plant-based burger that smells and tastes like real meat. At the company's headquarters in Redwood City, Calif., chef Traci Des Jardins served the Impossible Burger (pictured uncooked) with vegan mayo, Dijon mustard, mashed avocado, caramelized onions, chopped cornichon, tomato and lettuce on a pretzel bun. 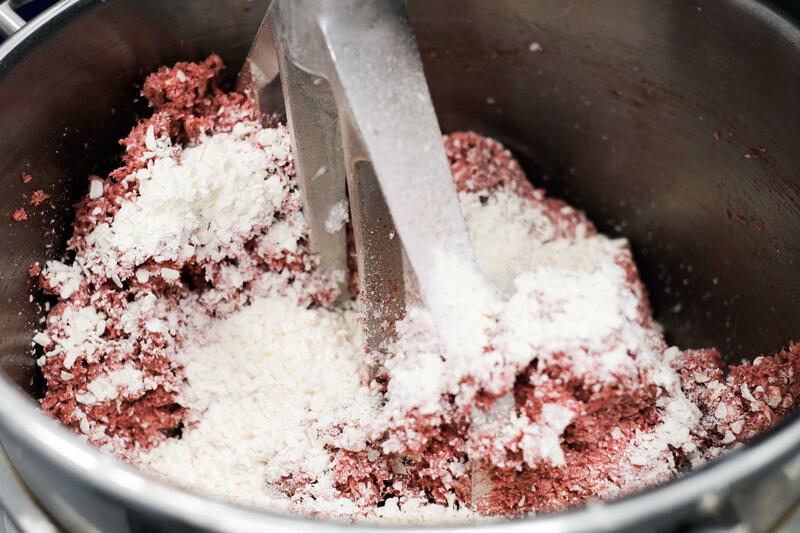 To mimic beef fat, Impossible Foods' meat-free burger uses flecks of coconut oil that are solid at room temperature and melt when cooked. 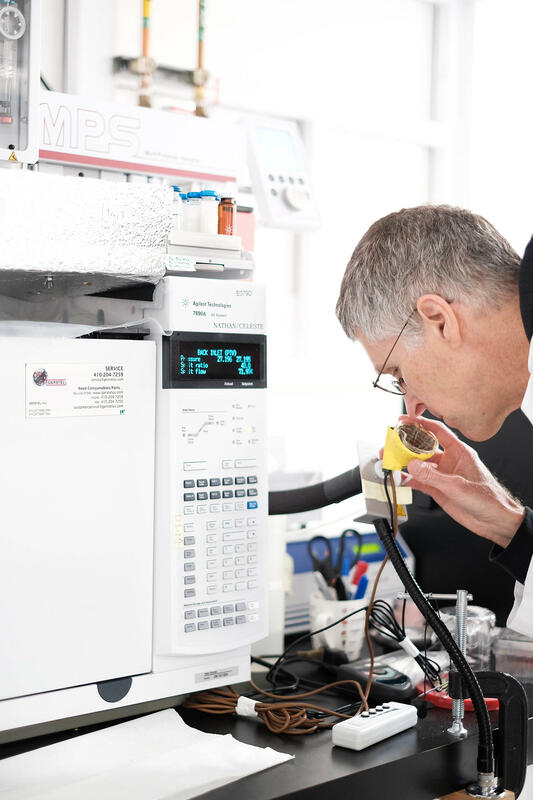 Impossible Foods CEO Patrick Brown demonstrates how the company's "meat sniffer" allows researchers to identify specific aromatic compounds in cooked meat.